New parents often expect their baby to start sleeping through the night by around six months of age. Indeed, they often receive messages from paediatricians and others about the importance of early sleep consolidation. But authors of a study in the December 2018 issue of Pediatrics found that a large percentage of healthy babies don’t reach that milestone by six months of age, or even at a year old. 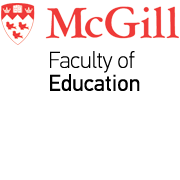 The McGill-led research team also examined whether infants who didn’t sleep for six or eight consecutive hours were more likely to have problems with psychomotor and mental development, and found no association. The researchers also found no correlation between infants waking up at night and their mothers’ postnatal mood. The researchers analyzed information from the Maternal Adversity, Vulnerability, and Neurodevelopment longitudinal birth cohort study, which recruited participants from obstetric clinics in Montreal, Québec and Hamilton, Ontario. Sleeping through the night was defined as either six or eight hours of sleep without waking up. Sleep measures were available for 388 infants at six months old, and 369 infants at a year old. At six months of age, according to mothers’ reports, 38 percent of typically developing infants were not yet sleeping at least six consecutive hours at night; more than half (57 percent) weren’t sleeping eight hours. At twelve months old, 28 percent of infants weren’t yet sleeping six hours straight at night, and 43 percent weren’t staying asleep eight hours. Researchers saw a difference between sleep patterns of boys and girls. At six months old, a slightly higher percentage of girls than boys slept for eight hours straight. (48 % vs. 39 %). Researchers also found no correlation between infants waking up at night and their mothers’ postnatal mood. But they did discover that babies who didn’t sleep for six or eight consecutive hours had a significantly higher rate of breastfeeding, which offers many benefits for babies and mothers. To read “Uninterrupted infant sleep, development and maternal mood” by Marie-Hélène Pennestri et al in Pediatrics: https://doi.org/10.1542/peds.2017-4330.